Too often we see serials open with a bang, but only a week or so in we realize sadly they had flattered to deceive. Gladly, so far, this is not the case here. 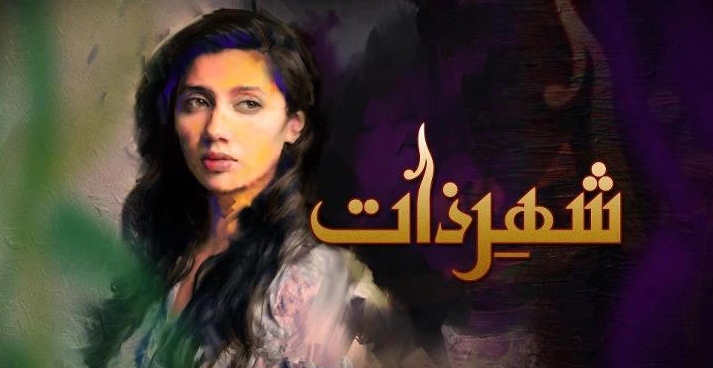 Shehr-e Zaat continued its winning streak as the pace never flagged and the narrative moved along evenly. The characters continued to be fleshed out as we got more of an insight into Falak’s me-myself-and-I world. We also saw more of Mehrunissa and her hi-fi lifestyle – talking about supporting charities but cribbing about helping the maid with her daughter. Naani made a brief but impactful appearance, her carefully measured steps beautifully contrasted against Falak’s long impatient strides, her calm demeanor juxtaposed against her constantly exasperated granddaughter. Hamza, though irritated by Falak’s flightiness, is so in love with her that he usually gives in without too much resistance. Though there are no overt confessions but just his testiness at hearing Falak drool over Salman is enough of a giveaway. And, talking about drooling, wow – Salman Ansar is totally a hunk and it is easy to see why even a self-obsessed girl like Falak is all gaga over him. So yes, all the philosophy and pondering aside, I am so totally waiting to see the chemical explosion next week as these two gorgeous but over inflated egos collide. Given the layers of meaning that exist in a text, it is always a challenge to maintain the integrity of the written word and preserve its essence while bringing it to life in another medium. Shehr-e Zaat is not a simple tale and Umera Ahmed’s subtext is not easy to convey. Kudos, however, to Sarmad Khoosat and his talented team of actors, technical crew, and support staff for showing us what it is to take a beautiful story and translate it on to the screen. I love how the manifold meanings of Hazrat Shah Niaz’s kalaamhave been explored and the play of words exquisitely used to highlight the richness of the onscreen narrative. The shifting meanings of yaar, the exploration of the pleasure and pain of the journey frommajazi to the haqiqi, the ecstasy of finding the beloved who is zahir but chupa – truly a connoisseur’s delight. In short, therefore, what makes Shehr-e Zaat a standout for me is the fact that it engages my attention on so many levels, be it the visual, the narrative, or the intellectual. It requires me to pay attention, watch carefully, and stop multitasking. In short it compels me to THINK, a word seldom associated with entertainment these days. My one peeve today was with the recaps and precaps. What was going on with the never ending (3 minutes!) recap, and why the heck was the precap for next week the same as the one we were shown for this week? Please, someone needs to pay attention. Also, did anyone else wonder how Falak was able to use the intercom during a power failure? ?